Free high-speed Internet access, deluxe breakfast bar, private exercise facility and outdoor pool. Each guest room was created for your convenience, offering you amenities such as iron, ironing board, hairdryer, coffee/tea maker, microwave, refrigerator and dataports to suit your business needs. 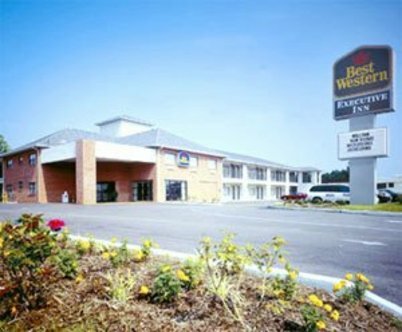 Home is not too far away when you discover the new Best Western Executive Inn, only minutes away from the Memphis International Airport, and Graceland. The Best Western Executive Inn offers an immaculate variety of services along with a friendly, attentive staff that takes pride in providing each guest with personalized service. Located only fifteen minutes away, experience the history, attractions, shopping and night life downtown has to offer.